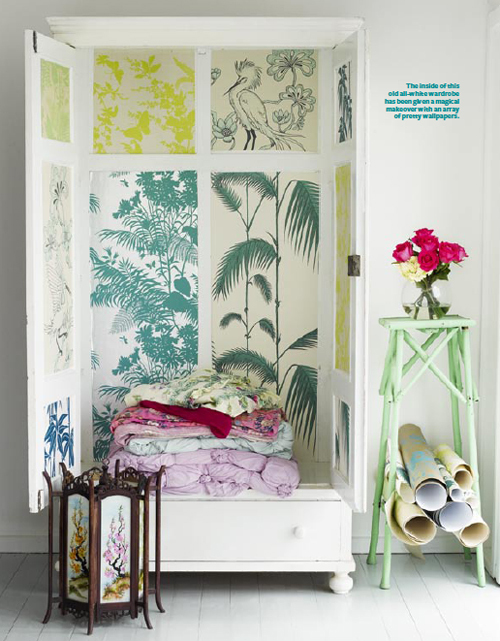 Stylist Shannon Fricke transformed her old cupboard with pretty wallpaper. Here Signature Prints and Cole & Son offcuts are used but the Birdhouse, Porcelain or Ribbon wallpaper from Studio Ditte are also perfect for such a project. If you are more into black & white the Familjen (photo frames) or Svarmor (shoes) wallpaper from Lisa Bengtsson are fun to use.